How can construction firms protect themselves this winter? With the cold season now very much in full flow, there are many reasons why you may need to consider a temporary heating hire solution. Temperatures are starting to plummet across much of the UK which should prompt you to contemplate how this can affect your staff, ongoing projects and reputation. What should I do following a heating failure? So, what happens when your heating system is no longer up to the task or breaks down completely halfway through a job? An absence of suitable climate control could jeopardise output and the efficiency with which a task is carried out, which is a completely undesirable scenario for any business. A solution should therefore be sought as quickly as possible – and it’s probably easier to get hold of than you think. Hiring a series of temporary heaters or a short-term boiler arrangement will be the best course of action in nearly all cases and a local specialist can ascertain your precise requirements before an installation is proposed. Once selected, the equipment will be delivered and commissioned within a matter of hours to ensure the problem is tackled at your earliest convenience. An example of this can be seen in a case study recently carried out by Andrews Heat for Hire, where a London-based construction firm was provided with an emergency heating configuration to accelerate the opening of a newly-built sports hall. A number of factors outside the client’s control had contrived to cause delays but the facility in question had to be ready for use urgently as an event had been scheduled to take place there. The customer was desperate for floor screed and paint to dry as quickly as possible, with a temporary heating system brought in to fast-track this phase of the project. Thanks to this intervention, the building was ready in good time and ensured the contractor in charge met the requirements originally set out by the client. Why is it important to maintain the right temperature? This assignment underlines the importance of placing your trust in a supplier who has the expertise, range of equipment and delivery capability necessary to complete the task at hand. 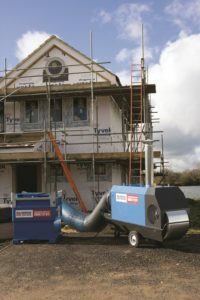 It goes without saying, but cold weather and subsequent frosts can have massive financial implications for construction firms including the associated costs of delays and damaged materials. 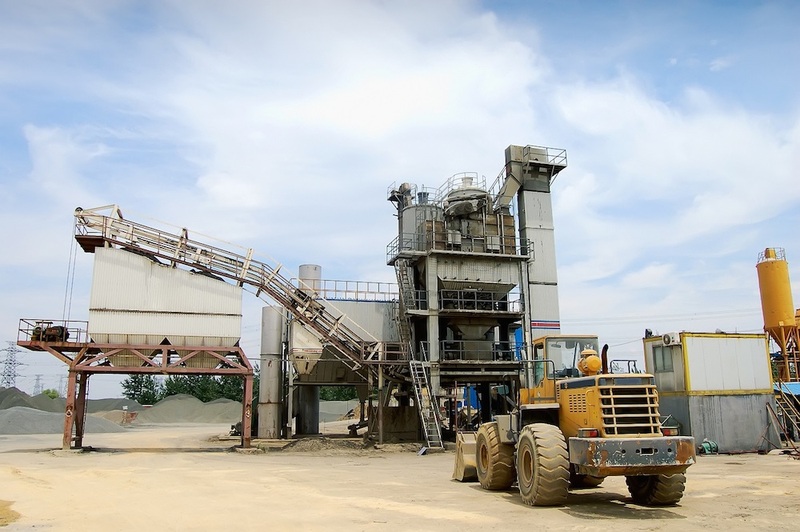 Andrews’ knowledge of this sector was pivotal in recently enabling a concrete plant to remain operational during a spell of extreme cold weather. Freezing conditions were really affecting output because the low temperature of process water was causing quality issues with the ready mixed concrete. In this scenario, it was felt that a short-term boiler arrangement would be the most effective solution for restoring the batching production line. To circumvent this issue, water was pumped to the batching plant via a heat exchanger and enabled a major plant facility to remain functional during a potentially turbulent period. When selecting a portable heating or boiler solution – particularly when larger units are necessary – you should also carefully consider the benefits of fuel efficiency and its correlation to reduced operational costs. How quickly can you expect a temporary heating solution? With depots nationwide and a 24/7/365 service, Andrews can reach any location within four hours of enquiry. This pledge guarantees customers a rapid response to any emergency and facilitates business continuity while alleviating concerns of long-term downtime. Your chosen supplier should also be in a position to offer you a bespoke fuel management service that supports you throughout the duration of either a planned or emergency HVAC hire. This provision should be available to all customers and will act as a form of insurance against the potential for your fuel supply to run out. Although choosing the right product for your application is important, you must also analyse the merits of selecting a reliable supplier capable of satisfying your requirements irrespective of time, scale or location. Once settled on a preferred and trusted supplier, you should have peace of mind knowing that any system failure on your premises can and will be seen to immediately. 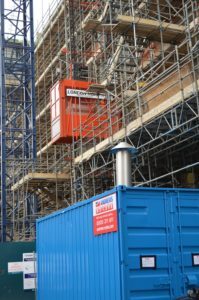 At Andrews Heat for Hire, a broad range of bespoke temporary heaters are stocked to ensure all temperature-related issues can be dealt with at the first time of asking. How much does a suitable heating solution cost? Hiring equipment that is befitting of your site or process need not be expensive and a reputable supplier should have the ability to tailor packages to suit any budget. Where necessary, a site survey could prove extremely beneficial and give you a better understanding of the reasons behind a particular course of action being taken. Technicians visiting construction sites and other building applications will be fully aware that no two jobs are ever the same. By recognising this, a unique solution can be proposed including a contingency strategy to account for variables that may or may not be in your control. Seasonal temperatures continue to fall at an alarming rate and with winter now very much upon us, why wait until something goes wrong before taking decisive action?